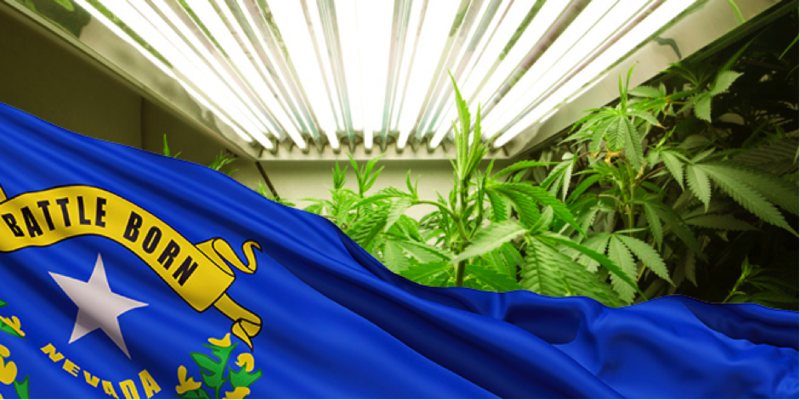 Will Nevada Make Cannabis History This November? All across the United States, tens of millions are getting ready to decide both the immediate and long-term future of cannabis legislation. Quite the contrary to the picture in the United Kingdom, lawmakers are putting it all in the hands of the people…as opposed to just making their minds up for them. Well, they are in nine US states, anyway, where both medical and recreational cannabis laws could be overhauled massively by the end of the year. It’s becoming apparent that both the public (in many regions) and the scientific community alike are crying out for more proactive and sensible cannabis legislation and control. 25 states have already legalized medical cannabis and there are four states where recreational pot is permitted. By the time Christmas rolls around, both of these figures might well have spiked sharply. And for certain states, the influence legal cannabis could have on tourism may very well turn out to be spectacular. It’s not as if places like Las Vegas don’t already have enough magnetism for fun-seekers – imagine The Strip suddenly adding a bunch of cannabis clubs to its ranks! While Nevada might be famous the world over for being home to ‘Sin City’ itself, it’s not quite as lenient as you might expect when it comes to cannabis. It was back in late 2000 that medical marijuana was finally legalized in the state, after several years of frenzied campaigning and seemingly endless roadblocks. But even then, dispensaries faced so many problems getting up and running that the first didn’t actually open its doors until five years later in 2015. Suffice to say, a pretty painful illustration of how red tape and bureaucracy can get in the way of these things. 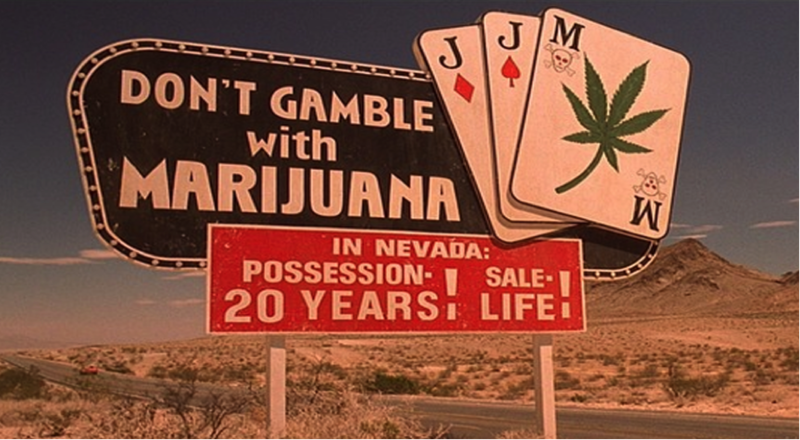 So right now, prostitution and gambling are well and truly legal in Nevada, but recreational cannabis is still very much against the law in every way. It’s technically decriminalized though, which means that if you’re caught with modest amounts of the stuff and aren’t clearly running a distribution empire, you won’t necessarily get the book thrown at you…so to speak. You can still get in trouble though – a first offense by way of possession is classified as a misdemeanour, which means you won’t be looking at any jail time, but you might well be lumped with a $600 fine. You’ll be arrested, you’ll be screened to see if you’re an addict and you might be sent for involuntary rehabilitation. A second offense means up to $1,000 in fines, plus if the amount you’re busted with is more than two ounces, that’s up to four years in jail for you. Nevada might not be the harshest state when it comes to cannabis-related punishments, but they’ve hardly been leading the charge for a liberal future, either. However, just as is the case in another eight North American states, the people of Nevada will hit the ballot boxes in November to determine the future of cannabis state-wide. Known as Initiative Petition 1, the bill to legalize recreational cannabis has gained significant traction over recent months and seems to be heading in the right direction. In fact, it’s even been said that the state’s alcohol industry is backing the campaign, which given how much leverage and influence the industry has in Nevada is a big deal to say the least. Like others, they’re basically giving the local population the opportunity to decide whether recreational cannabis should be regulated and controlled in the same way as alcohol. This would mean that you’d need a license to produce and sell the stuff, though would be perfectly within your rights to buy and use it if you’re over the age of 21. 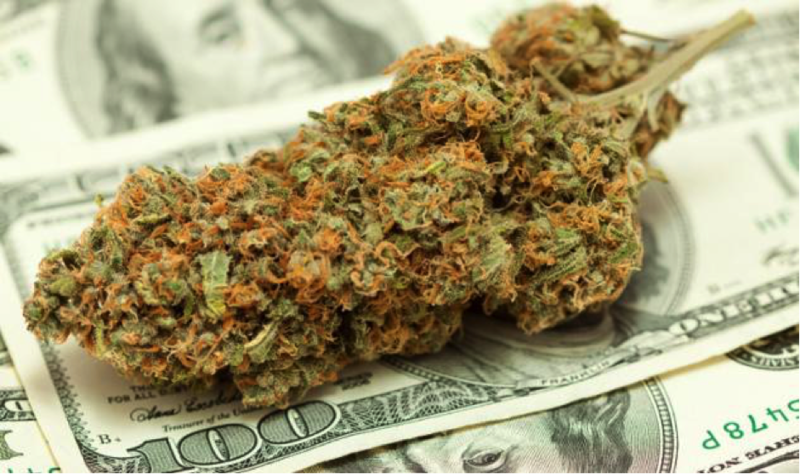 Suffice to say, the prospect of legalized cannabis in Nevada is the kind of thing that could see incalculable tax dollars being pumped into the state every year, both by locals and visitors alike. Indeed, it’s hard to imagine how the appeal and reputation of Las Vegas alone would be transformed forever, if it suddenly became legal to smoke pot without fear of heavy fines and other punishments. However, even those who are well and truly in favour of cannabis legalization in the state of Nevada have warned that actually getting things up and running post-vote will probably prove to be easier said than done. Going by the example set over in Colorado, it’s likely that a number of teething problems will be faced along the way. It was back in 2014 that Colorado legalized recreational cannabis, which has since become a billion-dollar annual industry of huge importance. Nevertheless, it wasn’t quite a case of waking up one day and having total freedom to do what you want, where you want and how you want to do it. 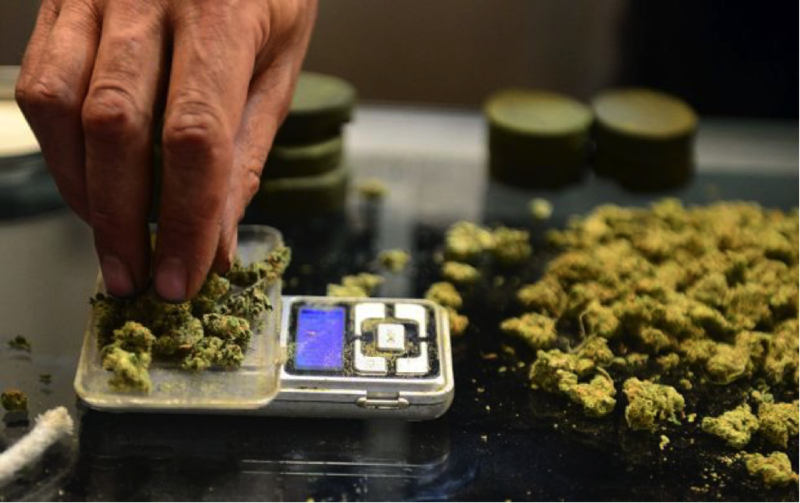 “What we’ve seen has had a lot fewer unintended consequences than we thought would come up,” said Andrew Freedman, director of Marijuana Coordination, state of Colorado. The long and short of it being that according to Freedman, there’s a lot of time and effort involved in establishing the kind of system that makes legal cannabis work for everyone. While the new law seems relatively clear and concrete on the surface, chances are it will be the first of many to be brought before state legislators. Indeed, where recreational cannabis has already been legalized, dozens of amendments and additions to the imposed laws have been applied since the bid day itself, in order to plug holes and overcome unexpected challenges. In the meantime, dozens of laws have gone in front of state legislators to modify, improve or fix unforeseen regulatory problems. Speaking on behalf of the Nevada Dispensary Association, executive director Riana Durett said that Nevada does at least have an advantage, in that what’s taken place in Colorado to date can be used as an example to work by. “We can get a little more of a jump start than Colorado did, we have a little bit of an advantage, but if those responsible for moving this forward don’t do that, then they’ll lose that opportunity,” said Durett. As far as the results of a recent poll show, recreational marijuana in the state of Nevada is supported by around 55% of the public. The eight-page initiative, if enacted, will as of January 1 next year make it legal for adults aged at least 21 to grow a maximum of six cannabis plants at home for their own personal use, while possession laws will change to allow residents to carry up to one ounce of weed or an eighth of an ounce of cannabis concentrate. As is the case in far too many states…all of them, in fact…it’s not as if everyone in Nevada is won over by the idea of cannabis legalization. Quite to the contrary in fact, opposition is proving to be both sizeable and strong. Over the last couple of weeks for example, an all-new formal campaign looking to prevent Question 2 from going ahead in November was launched. Far from another half-assed attempt to keep the public in the dark with a few random anti-cannabis slogans, this new push has none other than Gov. Brian Sandoval behind it, not to mention the organisation that represents the casino industry of Nevada. And to say they’re really pushing the most influential (if entirely contrived) point of all would be an understatement. Indeed, the group goes by the name of “Protecting Nevada’s Children” – indirectly accusing anyone in favour of cannabis legalization of working against the future of Nevada’s kids. Very clever. “Nevada’s future success depends on a better education system and a well-prepared workforce,” said Republican former Nevada Assemblyman Pat Hickey, the campaign’s spokesman. Those involved in the campaign have so far refused to answer questions with regard to who exactly is funding the push, stating that they’ll reveal all closer to the vote date itself. This has of course stirred controversy in its own right, given the fact that in so many other states it’s been alcohol, tobacco and drug brands that have invested heavily in fighting cannabis legalization. Not that any of these give a damn about protecting the children of anywhere – it’s all a matter of pure profiteering. “As a father and grandfather, I’ve always been fearful of both the immediate and long-term effects of recreational marijuana usage,” Sen. Dean Heller commented. On the more sensible, informed and fact-backed side of the argument, supporters insist that legalized cannabis will help the state crack down on drug cartels, bring even greater numbers of tourists into the area and pump massive sums of cash into community projects, schools and so on. “They have spent their lives believing that marijuana needs to be illegal and cannot grasp that a majority of Americans — and a majority of Nevadans — no longer do,” said Coalition to Regulate Marijuana Like Alcohol spokesman, Joe Brezny. We’ll be finding out soon enough. Do you think Nevada will legalize? Let us know below in the comments section.